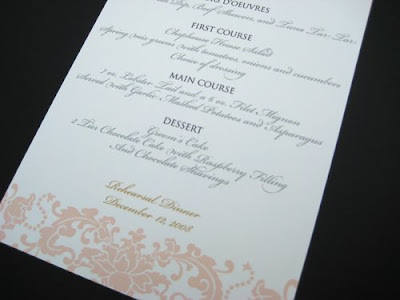 I recently worked with bride Beth on rehearsal dinner menu cards to coordinate with all her wedding stationery. I am really loving the gray script. I think it brings the softness and romantic-ness of this design to another level.